Today the little guy had a big first – his first haircut! And let me tell you, he needed it. It had become something of a joke to people who are friends to my wife especially, because it was getting quite long and it was not really even – and right after a shower, it was pretty puffy and out of control. For some reason, all kids seem to be transfixed by this television program. The writers must be majorly under the influence of drugs. Our son has literally never seen any television program until this one, so he was just staring at it, also transfixed. So, it was a double-whammy: 1) what is this thing with the moving pictures? 2) what is this weird program? Meanwhile my wife’s sister made quick and effective action with the scissors, while I watched and took photos and tried not to freak out worrying about if he would turn his head quickly. we saved some of the hair – now what do we do with it?! ← Day 153: Where Did Our Baby Go? 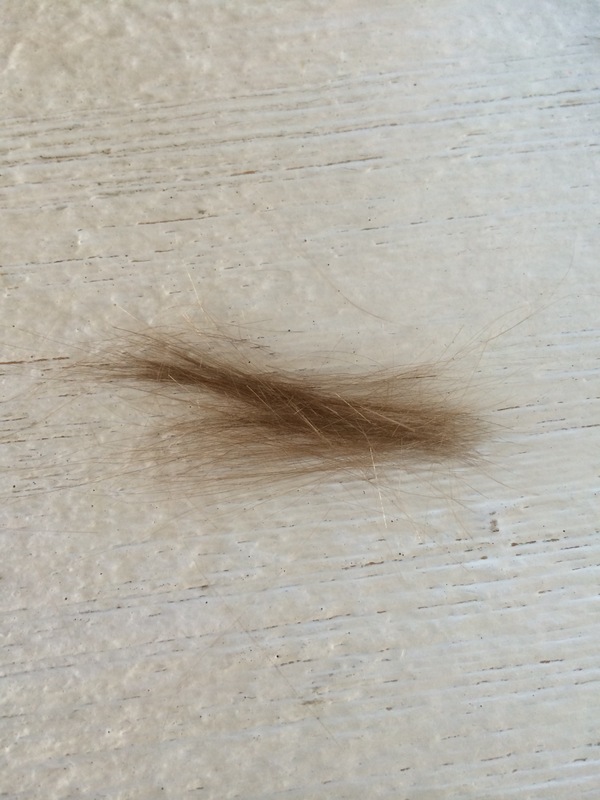 I almost forgot to get some hair from our daughter’s first haircut but I am with you when we got home I thought. Ok what do I do with it now?